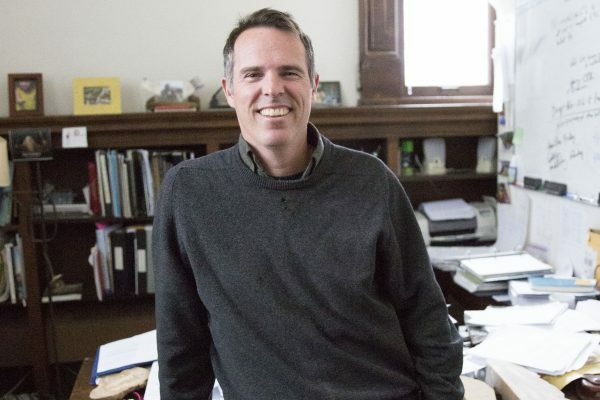 A team of researchers across the United States, including Cornell College Professor of Geology Rhawn Denniston, is embarking on a new mission to answer questions about climate change in Portugal. 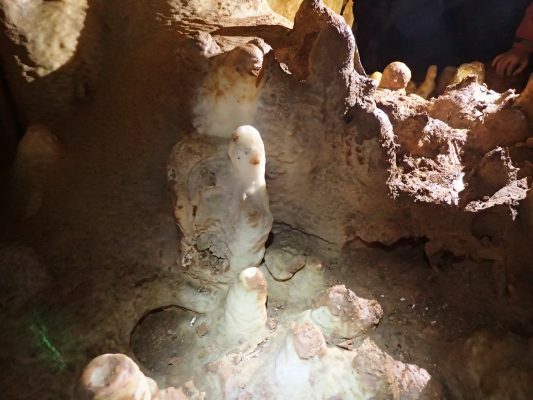 The National Science Foundation (NSF) has awarded the team more than $676,000 to study stalagmites from caves in central and southern Portugal as a means of investigating how rainfall changed over decades and centuries starting 2,500 years ago. The team is especially focused on the impacts of a phenomenon known as the North Atlantic Oscillation (NAO). Denniston describes the NAO as an atmospheric teeter-totter, with the northern end located in Iceland and the southern end located in Portugal. The teeter-totter flips back and forth sporadically every few years or decades. When the NAO is in one position, Portugal and Spain get drier while northern Europe becomes wetter, and when the NAO flips back the other way, the opposite effect occurs. The NAO influences other parts of the climate system, as well, including where hurricanes make landfall on the East Coast of the U.S. The NAO has been the topic of considerable debate because of its climatic importance and because of suggestions that during medieval times, the teeter-totter became locked into one position for centuries, something that hasn’t been observed in modern history. Each member of the research team has a distinct role in this project. The team is led by Iowa State’s Wanamaker, who, along with a Ph.D. student, will oversee the collection and analysis of the stalagmites. Denniston and five Cornell students will focus on collecting and understanding how conditions such as air temperature, humidity, and air pressure change in and above the caves. 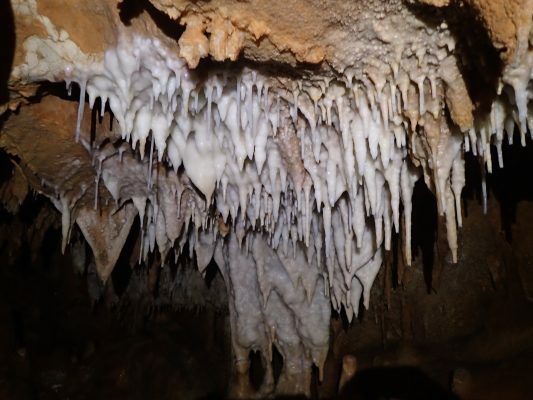 They will also study how rainfall above the cave impacts the rate and chemistry of water dripping into the cave in order to better understand the chemical signals in the stalagmites. The data will help the team link the chemistry of the stalagmites to the precipitation patterns that Portugal experienced over past centuries. Joining Wanamaker and Denniston are geologists from the University of New Mexico and Union College, and a climate modeler from the Woods Hole Oceanographic Institution.